Textron Aviation is a leader in general aviation and home to the Beechcraft, Cessna and Hawker brands. We account for more than half of all general aviation flying. Our broad range of products include Citation business jets, Beechcraft King Air and Cessna Caravan turboprops, Beechcraft and Cessna piston engine aircraft and the T-6 military trainer aircraft. All of our products are backed by the industry’s most capable service network that supports customers around the world. Cessna produces business jets, turboprops and piston-engine aircraft. Our products include the Citation Latitude and the Citation X+ business jets, the Caravan and Grand Caravan EX turboprops and the Cessna 172 Skyhawk piston aircraft. 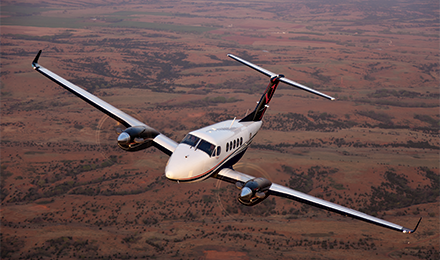 Beechcraft produces turboprops and piston-engine aircraft as well as military trainer aircraft. Our products include the King Air 350i/ER and 250 turboprops, the Bonanza and Baron piston aircraft and the Beechcraft T-6 and AT-6 military trainer aircraft. 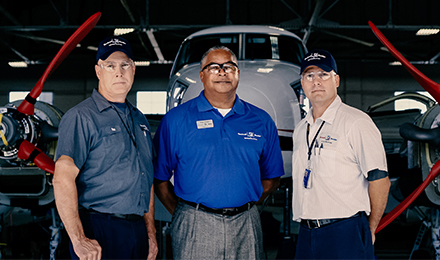 Textron Aviation operates 21 service facilities worldwide, including 60+ mobile service units and three air response aircraft, ready to provide aircraft support and assistance for maintenance, inspections, parts, repairs, avionics upgrades, equipment installations, paint services and more.